The 7th Hangzhou Youth West Lake Postcard Contest award presentation ceremony was recently held. Focusing on the theme of "home in Qiantang" and taking postcards as the carriers, the children gave full play to their imagination and creativity, and portrayed the beauty of West Lake in their hearts with comics. The contest has been successfully held for seven sessions. 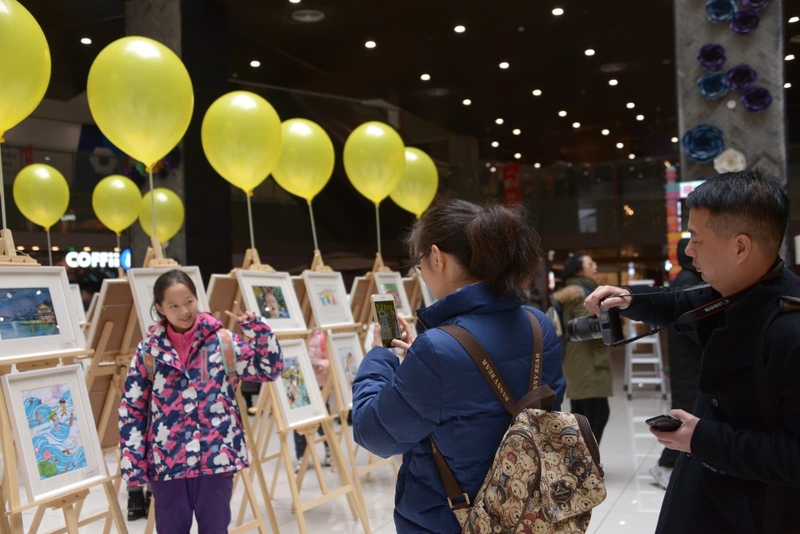 More than 200 primary and high schools in Hangzhou organized students to participate in the contest, presenting over 100,000 entries. The children were unrestrained in their imaginations. Some children thought of Fu Yuanhui, a sports athlete with a sense of comic humor while drawing Hangzhou. Many little "foodies" painted lotus roots of the West Lake, Longjing tea and small steamed buns. And a lot of kids thought of the Asian Games having entered the "Hangzhou time". Hangzhou under their painting brushes is full of speed and passion, magic and technology. Wu Chenyu, a 12-year-old special award winner, was a grade six pupil in Hangzhou Xizi Experimental School. Missing his grandma in the hometown in Anhui, she drew the scene of her grandma "sewing" the beautiful scenery of the West Lake with a sewing machine. It was a " childhood in hometown" passed down from generation to generation. The contest has effectively integrated Hangzhou's two major resources, the West Lake landscape and the capital of animation. The contest originated in the year of successfully applying to list West Lake as an intangible cultural heritage. To date, it has been successfully held for seven years. Pan Cangsang, the curator of Hangzhou West Lake Museum, said that “We not only hope the children can improve their painting and expression skills via participating in the activities, but also hope the contest will guide the children to observe and think, enhance their understanding of the West Lake culture, and understand that the beauty of the West Lake needs hard efforts of generations to maintain."